Here's the thing about being a stay-at-home mom: it can be super isolating. Like, completely, overwhelmingly, stay-in-your-home-with-your-crying-baby-and-don't-get-out-of-your-sweats-all-day kind of isolating. It can be lonely. It can be depressing. But it doesn't have to be!!! But you don’t have to!!! Being a stay-at-home-mom can definitely be lonely! You get very little (if any) adult interaction & you can start to feel like you are losing yourself. But it doesn't have to feel that way!!!! Here's a little secret I've learned the hard way, after suffering from many bouts of "cabin fever": just get outside. That's it. Leave the house. Even if it's just a walk around the block. A trip to Target, or your local coffee shop. Or hey, just going in your backyard and hang out for a little! I promise you it will help, especially if you’re a first time mom with a new little baby! That’s why I LOVE living in such a beautiful and vibrant city with so many different places to go and things to do! It makes it a lot easier to get out with the kiddos, when the activities and restaurants are kid friendly!! 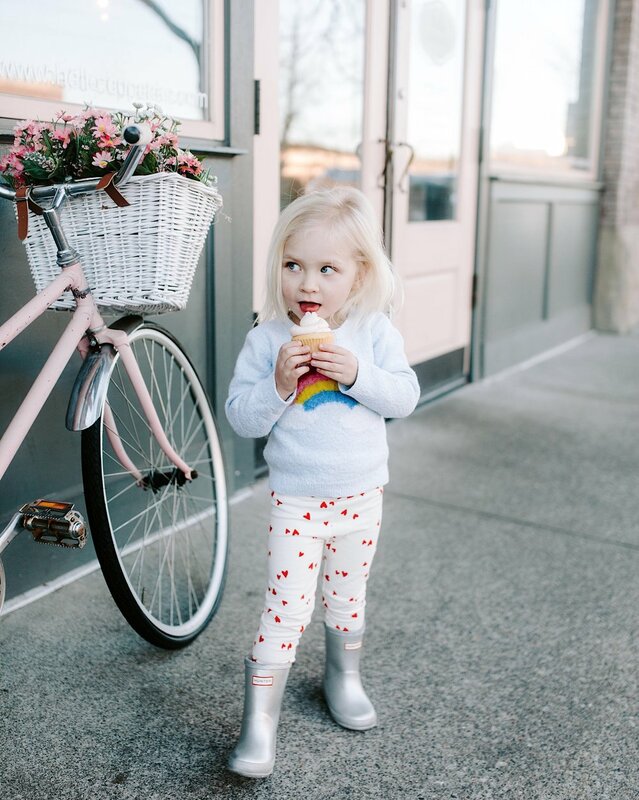 Today I teamed up with JJ Cole and rounded up a few amazing kid friendly spots here in Seattle for you local mamas or if you’re ever visiting the PNW!! Q- What you love about Seattle? A- I love how much there is to do here! We have the mountains, the ocean, plenty of lakes, and of course the big beautiful city!! There is no shortage of activities, and I feel like we are constantly exploring somewhere new! Seattle is a giant melting pot of cultures, and I love that my kids can grow up in a place with so much diversity. The food here is amazing, and you can get just about any authentic type of food your heart desires!!!! Q- Best place to eat with kids? A- Whenever we go into the city, we love to eat at ‘Ivar’s Seafood’ right on the water. They have some of the best clam chowder & super yummy fish & chips! The best part about the restaurant isn’t even the food, but the location! After eating, we feed all the seagulls our leftover French fries...and they even will come grab them right out of your hand!! Marloe LOVES feeding the birds, and it’s hard to break her away from them when it’s time to go! While eating we also love to watch sea lions rest on the docks, and the big ferry boats head from island to island. Another great kid friendly spot in the city is Super Beuno! Super Bueno, located in Fremont, offers family-friendly Mexican food, serving lunch, dinner and even weekend brunch. Our favorites include the Super Bueno nachos, breakfast burritos and tacos as well as the Super Guac, Chilled Watermelon Salad served with mint, Guajillo salt and Pop Rocks (trust me on this one!) and the Mexican Chop Salad. The kids’ play area (aka the Kid Pit) will keep little amigos happy and engaged while you and your hubby eat your hearts out! Q- Best outdoor activity with kids? 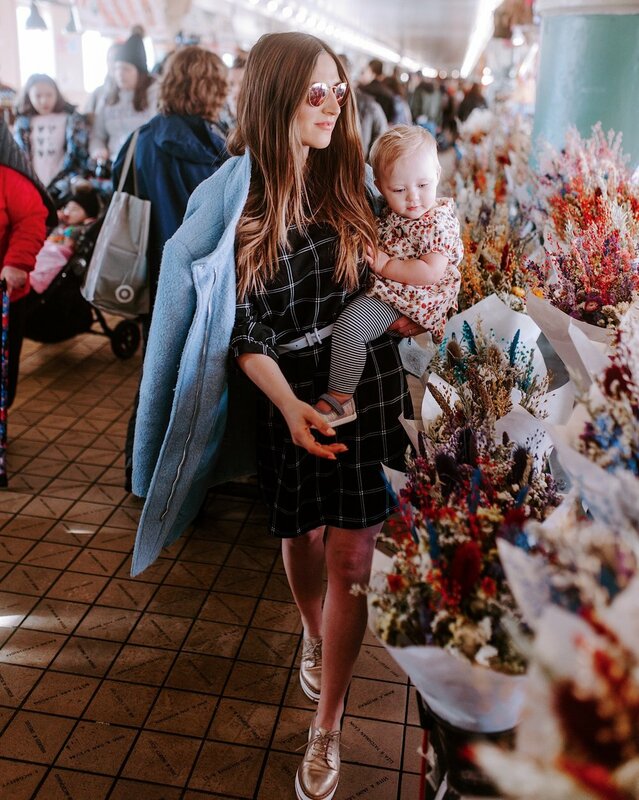 A- I love taking the kids to Pike Place Market, and getting some good food & local produce! It’s so fun walking around through all the local vendors and finding fun new things to take home!!! Marloe also loves going on the Ferry to and from all the islands!!! The best time to go is in the Summer when the weather is good, there is truly no prettier sight!!!! Marloe loves watching for whales, and we even spotted one last Summer on a Ferry ride to Whidbey Island!! There are also so many fun parks, and outdoor museums downtown too! Q- Best indoor activity with kids? A- The Pacific Science Center is a super fun place for kiddos, and adults! They have a mission to ignite curiosity and fuel a passion for discovery, experimentation, and critical thinking! The Seattle Aquarium is another fun spot for kids! They have such a wide variety of sea life to explore, and have some incredibly beautiful views of the ocean! The Aquarium is located right on the water, and close by to so many cool shops and restaurants! 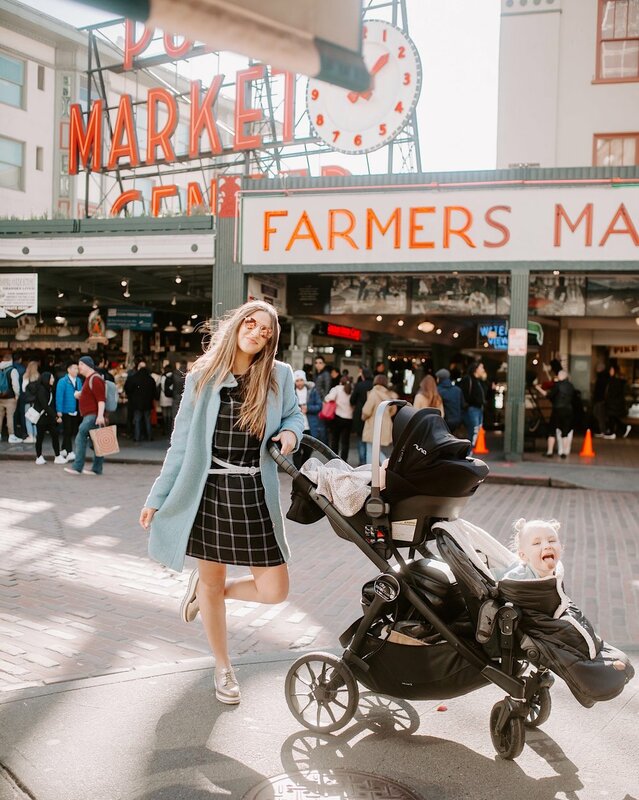 While I was downtown, I was so happy to have brought along my JJ Cole Urban Black BundleMe for Marloe! As you can see pictured above, she was toasty warm & comfortable in her BundleMe!!! It was ideal for the cold Winter weather, and was way better than a flimsy blanket or jacket!!! Marloe seriously didn’t want to get out of it, which is saying something…cause that girl rarely ever sits still!!! 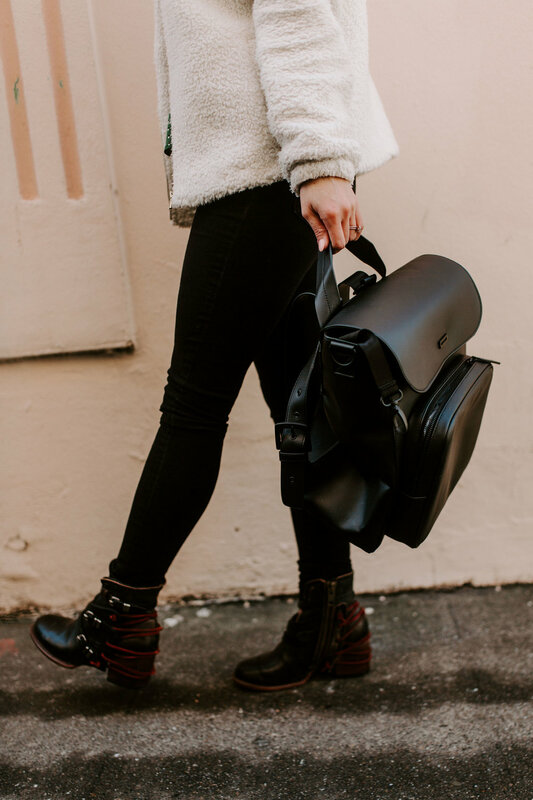 I also have been loving my Black Brookmont diaper bag from JJ Cole!!! The diaper bag is one of the most versatile diaper bags I have ever owned! It has 15 pockets designed with parents, and all the things we need in mind! It’s washable, 100% Vegan leather, and is SO DANG CUTE. Get out and experience your city with all your favorite JJ Cole products!!! Perfect for taking on the day with your little ones! The team at Revlon Hair Tools reached out to me & introduced me to their Perfect Heat Long Lasting Curls curling irons. I was already familiar with the brand (DUH, I LOVE REVLON HAIR TOOLS) and was super excited to try out their curling iron for myself! I have been using the 1” curling iron for two months now, and I’ve been absolutely loving it. I used to own three curling wands and two curling irons and several other hot tools and now I can honestly say I just use this one! It is such a great price point as well, and I found it at my local Walmart! STEP 1: The first step is to prep your hair. I like to put some styling cream/heat protectant on my wet hair, brush it and apply a little bit of hair oil to tame the frizziness. I use the Revlon XL Paddle Brush to help tame and detangle my wet hair, this helps it to dry more easily as well! I let my hair air dry, because my hair looks best when I use the least amount of heat on it! Once your hair is dry, start by sectioning it off. I only separate my hair in 2-3 sections. This helps the waves to look more loose, and more natural! STEP 2: In order to get effortless waves, you need to do 3 things: 1. Curl your hair away from your face. 2. Lay your hair flat against the curling iron. 3. Don’t curl the last 1-2 inches of your hair. STEP 3: Once you lay your hair flat against the barrel, hold it there for about 10-15 seconds. STEP 4: Once your finished curling your hair, DON’T TOUCH THE CURLS! Let your hair cool down! Once it is cool. spray some touchable volume spray/hairspray, and use your fingers (NOT A BRUSH) to loosen up and release some of the curls.